K-2 Partners is a Mergers & Acquisitions firm, laser-focused on all sectors of the Document and Information Management (DIM) industry. All members of the K-2 Partners team have played leading roles in the development of the Records Management, Data Protection, Secure Destruction, Digital Document Print and Fulfillment, as well as Document Imaging and Document Business Process Management industry sectors globally. They have long and highly-accomplished operating track records in the DIM industry. They are also veterans of 200+ industry-based M&A deals, including the industry’s largest. And while most M&A firms have a financial sector background with little real-world and industry operating experience, the ‘K-2 difference’ lies in the fact that K-2 Partners is made up of seasoned industry veterans who also happen to have a long track record of successful M&A transactions. They are not financial theorists- they have a practical approach based on hard-earned experience. Their individual knowledge, skills and experience perfectly complement each other. They have built new business ventures from the ground up, have been individual entrepreneurs and have experienced the pitfalls and heartbreaks along the way. They have industry know-how, business acumen and street smarts that only come from years of operating a business. All are well-respected industry veterans in their respective segments. Whether you are a business owner looking to sell, a financial buyer looking for industry insights and investment opportunities, or an industry operator looking for information, you can benefit directly from K-2 Partners’ wealth of experience. Since all the K-2 Partners team members have been DIM business operators and acquirers, they know what buyers are looking for in a business. They know how to analyze a business, unlock its maximum potential and present it in the most appealing way to potential buyers. Their long-term, senior-level industry relationships ensure that they are always up to date with the latest industry trends and more importantly, they are close to all of the strategic and financial buyers that are active within the industry. 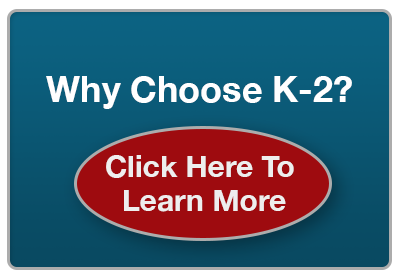 For professional, results-oriented M&A know-how focused on your specific industry, K-2 Partners stands alone.